My short review of this book: a great novel that skews a little away from my personal tastes. I would describe it as a literary prison novel, though that’s not at all how someone pitched the premise to me. Based on the blurb and promotion, I expected it to be more...magical - in a literal fantasy sense. Numerous quotes use the words “magic” or “magical” among words with similar connotations, but the story merely brushes up against a magical realism label with some fantastical literary metaphors. Denfeld employs multiple viewpoints, most in third person with one inmate (the one who describes the prison as an enchanted place and observes his surroundings with an imaginative eye) recounting events in first person. When I say the book skewed away from my tastes, I mean both in terms of content and style. As for content, I found the tone too dark and depressing and the storyline too violent. Not a surprise for a prison novel, but I’ve never hopped on board the trend of crime novels and television shows and only read or watch such material in moderation. One thing I will say in praise of the violence, though: Denfeld describes such scenes in emotional terms rather than physical ones...which I actually found more affecting. She doesn’t say in physical terms what is being done to another human being, but rather shares with the reader his confusion, his terror, and how horror can melt into numbness and later rebirth into a quietly simmering rage. Also, while I promote seeking out stories outside your own experience, I like having enough familiarity with the topic to make a judgment call on the author’s accuracy. 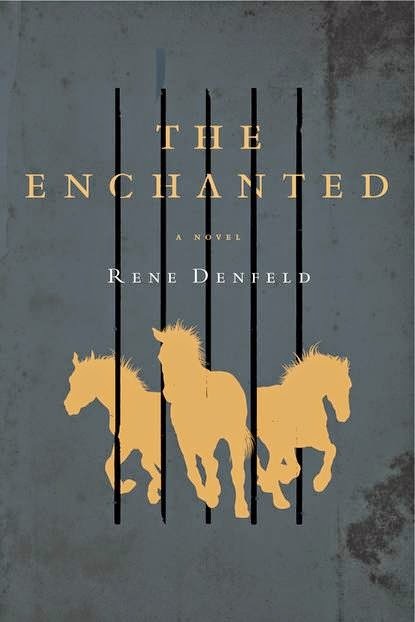 In the case of a prison novel, I’m frankly no authority on whether or not THE ENCHANTED accurately portrays prison life. As for style, I would call the writing dense. I found the voice hard to follow every time I opened the book again, but would gradually fall into step with the story’s particular rhythm as I kept reading. The author opts, quite deliberately from what I could guess, for far more telling than showing - often summarizing dialogue rather than writing out a conversation, etc. I also found the magical realism elements (or literary metaphor, as I interpreted them) more distracting from the actual story than a meaningful embellishment. Though technically this can be said of any book, I consider THE ENCHANTED a particularly taste-specific novel. I liked this book, but the right readers will doubtless absolutely adore it. As with earlier books in this series, I immediately invested in the characters. There’s another jump ahead in time with the start of a new book; each novel has its own distinct plot with the major unifying factor being the characters. In this third and final installment, Thea is now pregnant (though still refusing to marry her beloved Alf). She and Alf live in the fey court now with other familiar characters from earlier books. Life seems peaceful...until a crazed religious fanatic kidnaps Thea and their newborn twins. Religion versus magic has been a prominent, if not the most prominent, theme in this series with THE HOUNDS OF GOD being no exception. Our newest antagonist views magic as sin and, therefore, the fey as demons, and he intends to see every last one of them purged from the world. Right now he’s fixated on Alf. Not only does Alf’s exceptional magical talent make him a prime target, but our villain considers a fey man like Alf having a religious background absolute blasphemy. He makes no secret that he will kill Thea and their children once they’ve served their purpose, but for now their purpose is to lure Alf directly into the beast’s mouth. My praise and criticism of this book stays consistent with what I’ve said about the earlier two. In terms of praise, I admire the theme of being rejected by the group with which you identify. As for criticism, I still found the writing dense and sometimes unclear, especially with actions scenes where not only can’t I picture what’s happening but I’m not even sure I know what’s happening. This was a satisfying series that encourages me to read everything else by this author. I believe most of her works are rather obscure at this point - if not out-of-print - but I expect her books will be worth the effort of tracking down copies. 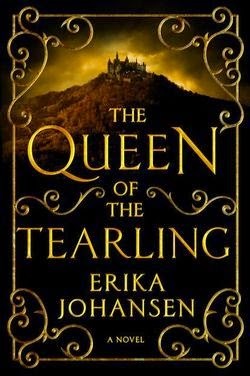 In short, THE QUEEN OF THE TEARLING is a decent book that severely suffers from overhype. Though I enjoyed the story, this novel couldn’t live up to all the raving marketing. The primary selling point for this book seems to be that Emma Watson agreed to play the heroine in a movie adaptation even before the book’s publication. (Side note: once you read the book it’s apparent that’s a horrible casting choice. Nothing against Emma Watson. In fact, it’s because she’s too pretty. The book makes a big deal out of the fact that the heroine is not attractive.) A lot of the buzz also describes THE QUEEN OF THE TEARLING as a cross between A GAME OF THRONES and THE HUNGER GAMES. After reading the book, that comparison strikes me as a hollow publicity gimmick of throwing out familiar, bestselling book titles. The only similarity I see between THE QUEEN OF THE TEARLING and A GAME OF THRONES is the medieval-ish setting. For THE HUNGER GAMES, the fact that there’s a female lead. I did invest in an engaging plot early on, but never became full absorbed because every time I started to do so my reviewer brain would find itself snagged on some little detail and thrown out of the story back into the real world. My criticisms are petty but numerous. I found this to be a good book, but not great. Entertaining, but not gush-worthy. I would recommend it to people like me who read at least a book a week, but it wouldn’t make the cut if I were talking to someone who reads 10 books or less a year. The premise sounds like a familiar epic fantasy formula. Princess Kelsea has been raised in hiding and the book begins as she sets out to reclaim her throne and heal a dying land. From there, this story distinguishes itself from other similar ones. Despite a wealth of “book knowledge,” Kelsea’s guardians kept her ignorant of her land’s politics. (A decision that never made sense to me. Why is it a good thing for a leader of a land not to know what’s going on in said land?) THE QUEEN OF THE TEARLING is the first in a planned trilogy and the biggest hurdle in this book revolves around Kelsea standing up to a bully of a neighboring country. For years, Mortmesne has demanded a monthly shipment of citizens from weaker lands to be sold into slavery, threatening to obliterate any country that refuses to provide this tribute. Though she had her moments, Kelsea isn’t quite the heroine I wanted her to be. Too much telling rather than showing. In other words, I felt like author used other characters’ awe and admiration to nudge the reader into feeling the same, but for the most part I remained unimpressed. Kelsea strikes me as rash and lucky. She has a magical family heirloom gem that seems to do most of her work. Some of her actions would be impressive, except she didn’t do anything. Instead the magical stone comes to life without any intent or skill on Kelsea’s part and solves her problems for her. I’ll summarize my other complaints. I found the storyline rather predictable. I guessed the traitor as well as two late revelations about Kelsea’s foster parents. The setting also confused me. It’s the 24th century, but medieval-ish. Technically future but feels like past. It seems some great humanity crash set everyone back to older ways, but we’re never provided further explanation. Honestly, I only know that much from reading writing about the book rather than the book itself. Last, the writing had some silly, petty slips that I found distracting. As one example, something along the lines of: “She heard an audible snap.” If a snap is a sound, why specify audible? For that matter, why specify audible if she heard it? Far from appalling writing but I do start thinking these thoughts instead of focusing on the story. Moving on to some of what I admired about the book, the story does raise numerous questions about vanity, one of the primary themes. Kelsea’s lack of beauty comes up early and often. She’s not quite ugly, but she’s entirely unremarkable and plain. She’s overweight, and when she cuts her hair short she realizes that some women can still look gorgeous and feminine with cropped hair...but she looks indistinguishably like a boy. There’s also the fact that her crush calls her “far too plain for [his] taste.” If he does fall for her personality later, will her vanity overcome the fact that he’s made it clear he’s not physically attracted to her in the least? Then there’s Kelsea’s clear contempt for vanity. Her guards even mistreat a woman and I picked up a subtext that it was okay because that woman is vain and, hence, deserved it - which contradicts Kelsea’s intent to be a better ruler than her mother or uncle. However, I’m not sure Kelsea being a notably flawed protagonist, heroine, and ruler is such a bad thing in a story. I hope it means growth in future books. It certainly means ardent conversations about her strengths and drawbacks, what decisions a reader supports and what ones they don’t. In general, that’s what I loved about this book: that it’s discussion worthy. I might have criticized this novel a lot in this review, but I certainly had plenty to say. Sometimes I enjoy a book and still find myself staring at a blank page when reviewing, struggling for anything to say about the story. THE QUEEN OF THE TEARLING feels somewhat like a gem that could have been polished a lot more, but you can tell it’s a gem nevertheless and not any old interchangeable rock. I also have high hopes that the later books will deliver on the story’s (and the marketing’s) promise of an epic series I won’t soon forget. This book won me over almost immediately and more than lived up to its considerable hype. I had heard enthusiastic endorsements from well over a dozen people before starting this novel but the story nevertheless exceeded my expectations. 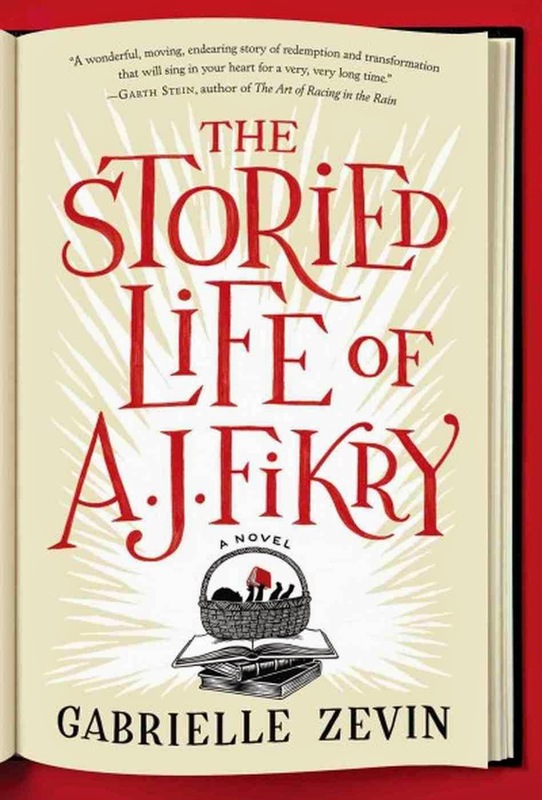 Both droll and shrewd in tone, THE STORIED LIFE OF A.J. FIKRY is above all beautiful, heartwarming, and original. Our star, the cynical A.J. Fikry, owns a small independent bookstore, but his passion for his work died with his wife. Now his job is, well, just a job. He gets through the day and often drinks through the night. Then someone abandons a baby in his store with a note suggesting he raise the child. Naturally A.J. balks at this proposition at first, but by the time Maya’s mother washes ashore after her suicide he can’t bear to send little Maya away. 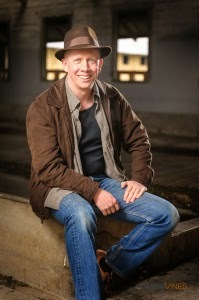 From there, the book has a wide time arch, covering A.J. and Maya’s unusual, moving, sometimes rocky, always book-dosed life together. The characters feel so believable that they practically emerge from the pages. Sometimes Zevin utilizes hyperbole for humor (like the cop book group that has such impassioned debates about the mystery novels they read that someone pulls their gun), but that aside every moment feels so probable, and so human. The characters are complex and flawed and many embody a typical reader: more than a little cynical because they think they’ve seen every plot twist and that predictability drains a story of emotion. This novel also features a strong voice (which goes along with dynamic characters) and excellent writing. I rarely pay as much attention to specific lines as I do to the overall story, but I stuffed THE STORIED LIFE OF A.J. FIKRY with so many post-its marking memorable quotes that my book looked more like my scrap paper storage unit. Sometimes I marked pages because a line made me laugh aloud and other times because a concise insight felt so truthful. Speaking of laughing aloud, the humorous tone came as a wonderful surprise. Dozens of people told me to read this book: because it’s a book about books and book lovers, because it’s well written, because it’s moving, because the end made them cry. Yet not one person mentioned that it’s also hilarious. I smiled, chuckled, or cracked up more times than I can count and often quoted to anyone nearby (who then wanted to read the book as well). In short: a spellbinding tale of human connection that reads like a love letter to books.